A recent Washington Post article, “As senator, Clinton promised 200,000 jobs in Upstate New York. Her efforts fell flat.” points out that during Senator Clinton’s tenure between 2001 and 2009, Upstate New York saw job growth of only 0.2%, far from what Clinton claimed could be achieved. While the article neglects to point out that the nation as a whole actually lost jobs during the period, since Clinton’s term ended near the low point of the recession of 2008-2009, it is clear that her claim was unfounded. But, Senator Clinton’s emphasis on economic development and job creation is not unique. Politicians in New York state and elsewhere regularly claim that their policies lead to job creation, often using statistics to tout their arguments. In 1994, a significant element of Governor George Pataki’s first campaign for Governor focused on his claim that the state’s loss of jobs in the period immediately prior to the campaign was a result of Governor Mario Cuomo’s tax and regulatory policies. Governor Pataki was fortunate, initially, because following the recession that took place in the early 1990’s, the national economy, and New York’s, improved. Each month for the first five years of Pataki’s terms of office, his Administration pointed to the creation of thousands of jobs in New York State. Then, in 2000, the nation again entered recession, which was exacerbated by the 9/11 attack on the World Trade Center. Not surprisingly, New York stopped seeing job growth, and the frequent press releases ceased. During Governor Cuomo’s administration, like the first years of Governor Pataki’s administration, New York State has seen significant job growth. But can governors or senators rightfully take credit for employment growth during their administrations? Is New York’s relative job creation performance primarily the result of State and local tax and spending policy? This post will examine patterns of job growth in New York, and will attempt to provide some answers. Many analyses of employment change focus on comparisons between New York State and the national average. Between 1990 and 2015, private sector employment grew by 18.7 percent, compared with 33.5% for the nation (note, data in this report, unless otherwise noted, is from the U. S. Department of Labor, Bureau of Labor Statistics, Current Employment Statistics). When New York is broken into regions – the New York City metropolitan region, and the rest of the state (Upstate) – there is a considerable difference in performance. New York metropolitan employment grew by 24.5%, while Upstate employment grew by 6.1%. But, a closer examination of the state’s performance shows significant variations in performance across different economic cycles. Since 1990, the nation has experienced three significant growth periods, broken by recessions in 1990-1992, 2000-2002, and 2007-2009. In the first growth period, 1992-2000, New York’s performance lagged the nation’s – private sector employment in the state as a whole grew by 15.2%, compared with 23.5% for the nation. The difference in performance between upstate New York and the New York metropolitan area was substantial – downstate employment grew by 18.2%, while upstate job growth was 8.2%. During the second growth period – from 2002-2007, New York’s performance again lagged the nation’s, but by significantly less than in the 1990’s. Nationally, private sector employment grew by 6.4% compared with 5.1% for New York State. Employment in the New York portion of the New York metropolitan area grew by 6.4%, which was greater than the national growth, while upstate employment grew by only 2.1%. During the third growth period, from 2009-2015, private sector job growth in New York State about equaled the growth in the nation – 12.7% in New York vs 12.9% in the nation. Growth in the New York portion of the New York Metropolitan area exceeded the nation’s – 15.54%, while that in upstate New York was again sub-par, at 6%. Population growth in the United States has continued to shift south and west. That factor alone contributes to regional variations in employment change. 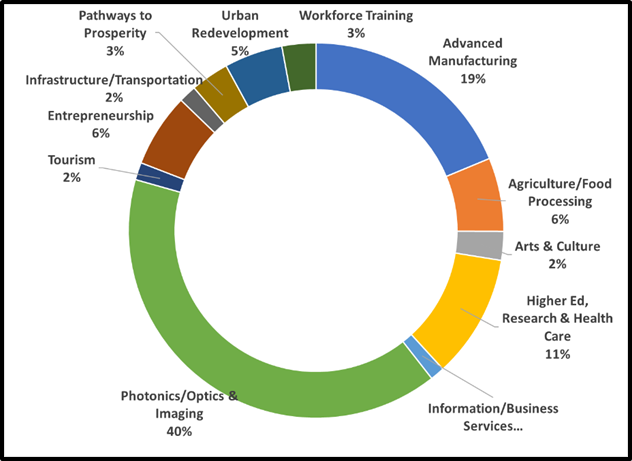 Additionally, regions vary in “industry mix,” the relative proportions of their populations employed in different industries. Given the historic importance of manufacturing in the rust belt, states in the Northeast and Midwest have suffered more than the rest of the nation. 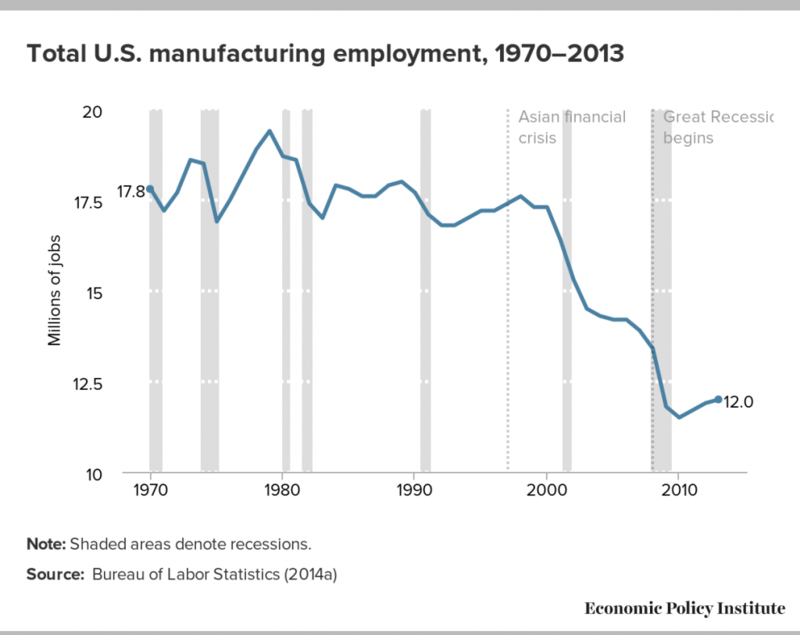 For thirty years, manufacturing employment was stayed constant, at 18 million jobs, as service employment grew. But, the decade from 2000 to 2010 saw one in every three manufacturing jobs disappear in the United States – from 17.3 million to 11.5 million. 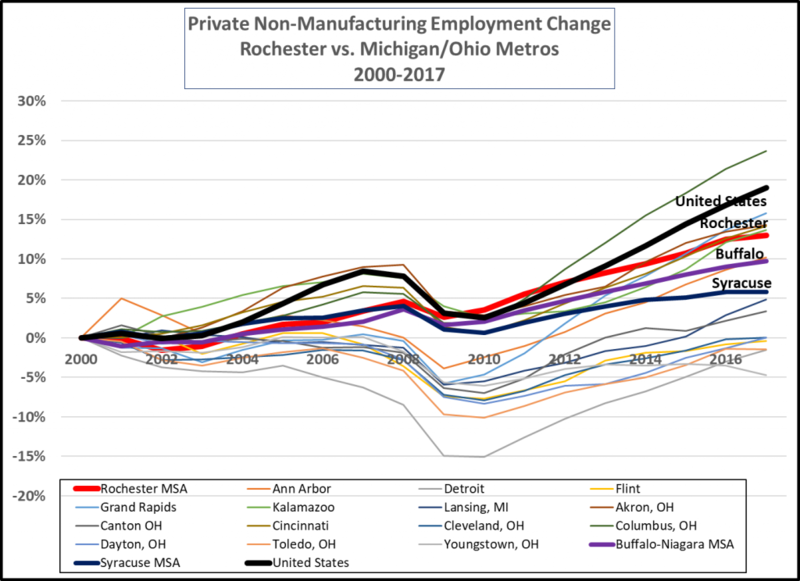 Not surprisingly, employment growth in rust belt states in the first decade of this century reflected the weak performance of the manufacturing sector. Even before the great recession of 2007-2009 rust belt states saw little or no private sector job growth. For the rust belt, both the decade between 1990 and 2000 and that between 2010 and today saw much better economic performance. Does the data support the argument that state economic performance is related to tax policy? We have often seen arguments that New York, as a relatively high taxed state, is at a disadvantage to regional competitors with lower tax burdens. The data shows that some states with relatively high tax burdens – Massachusetts and New York – did better than states with significantly lower burdens – Michigan and Ohio, for example. (source -State & Local Government Finance Data Query System. http://slfdqs.taxpolicycenter.org/pages.cfm. The Urban Institute-Brookings Institution Tax Policy Center. 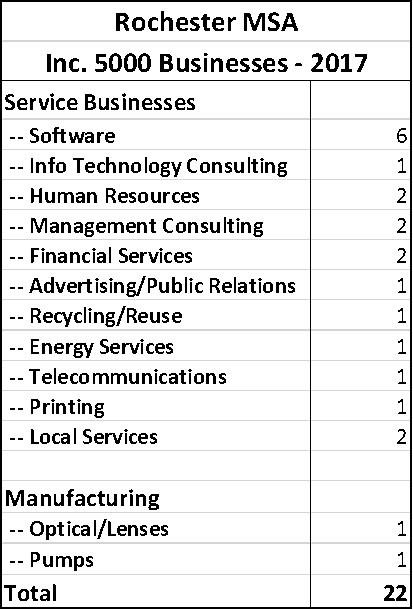 Data from U.S. Census Bureau, Annual Survey of State and Local Government Finances, Government Finances, Volume 4, and Census of Governments (1977-2013)). It also shows that the relative performance of states varied from period to period. 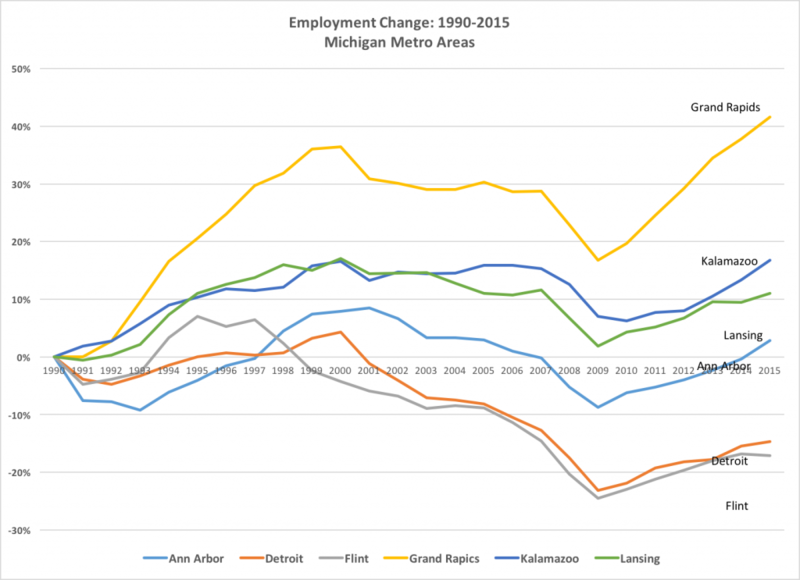 For example, Michigan was one of the strongest performers in the rust belt from 1992 to 2000, but was among the weakest in the recessions of 2000-2002 and 2007 to 2009. For the past half century, Upstate New York has consistently grown more slowly than downstate, largely because of its historical dependence on manufacturing. 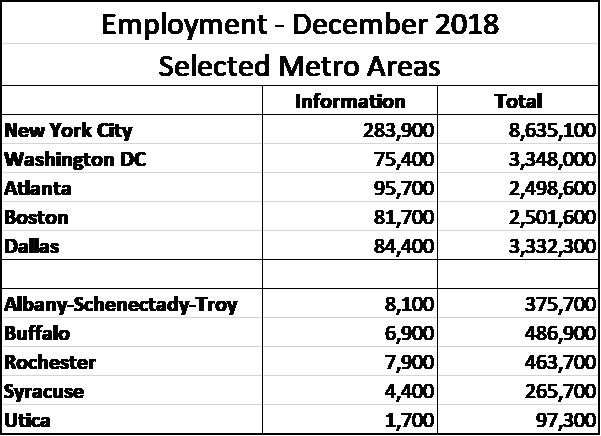 Even so, the chart below shows that there have been significant differences in private sector employment growth between New York’s metropolitan areas. The New York City metropolitan area had the greatest employment growth – more than 25% – among those studied in New York State between 1990-2015. 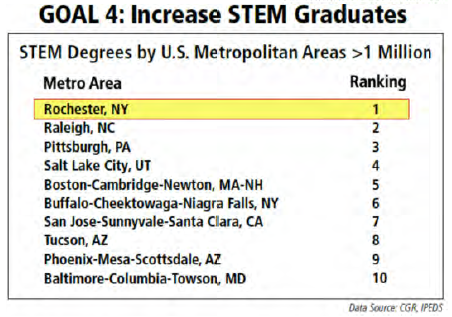 The Albany Schenectady Troy metropolitan area was second, with about 20% private sector job growth. 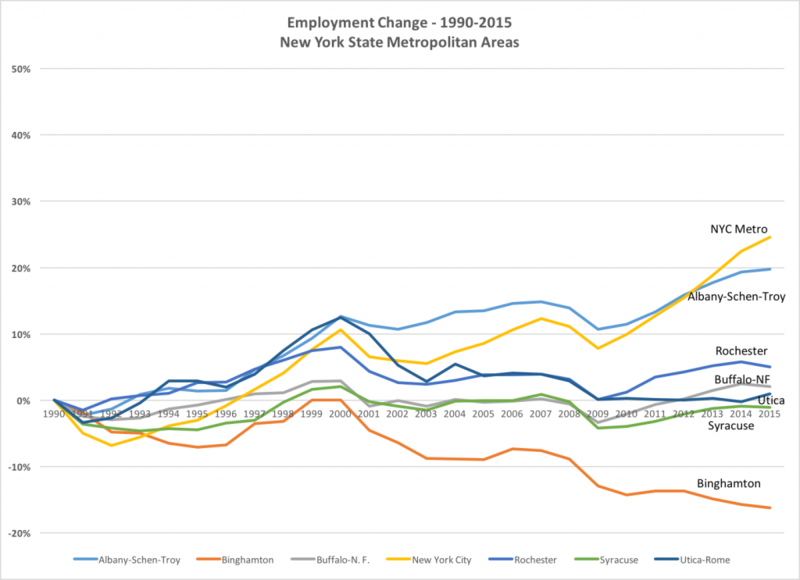 But other metropolitan areas upstate had little private sector employment growth, or in some cases, losses. 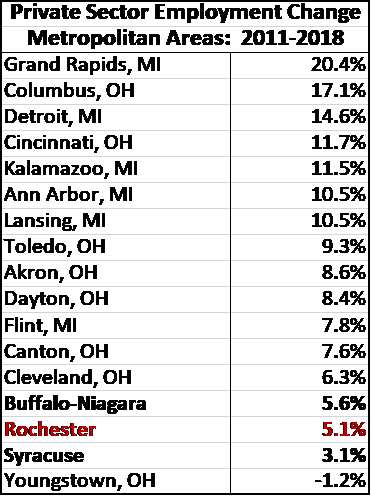 Rochester’s employment grew by about 5%, and Buffalo’s by 3%. Binghamton’s employment declined by more than 15% during the period. The job creation performance of New York metropolitan areas compared to other metropolitan areas in the rust belt varied substantially during different periods of growth and recession, even within relatively short time periods. 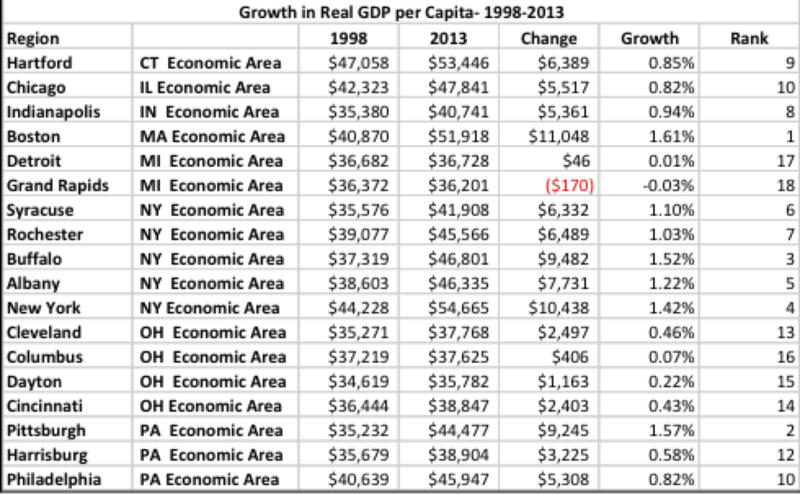 Relative to other rust belt metropolitan areas, New York metropolitan areas showed the weakest performance in the 1990-1992 recession, and the strongest in the 2007-2009 recession. These kinds of shifts can reflect the effects of differing economic environments as they relate to metropolitan areas’ industrial bases. 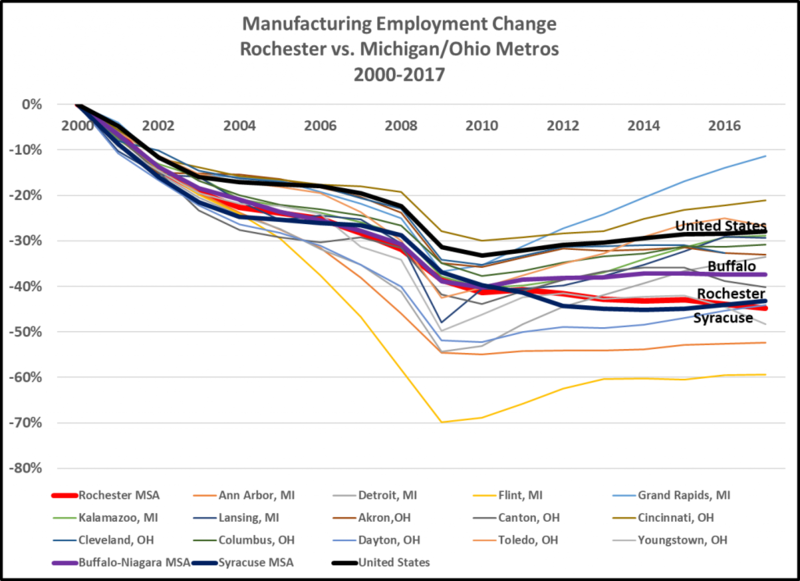 For example, in 2007-2009, metropolitan areas in Michigan, highly dependent on the auto industry, were particularly hard hit while New York’s metropolitan areas generally did relatively well. Syracuse and Buffalo’s performance was weak between 1990 and 2000, but did relatively well between 2000 and 2009. 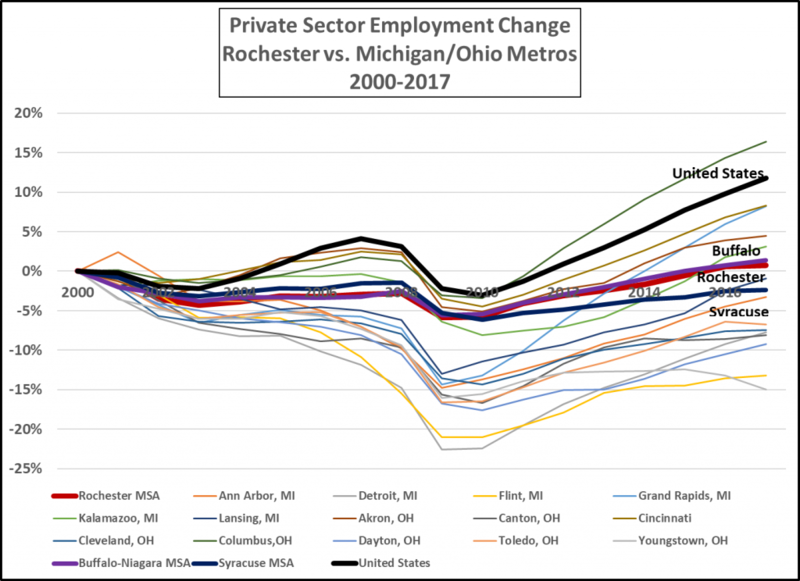 Is the large variation in private sector employment change between metropolitan areas in New York State found in other states? 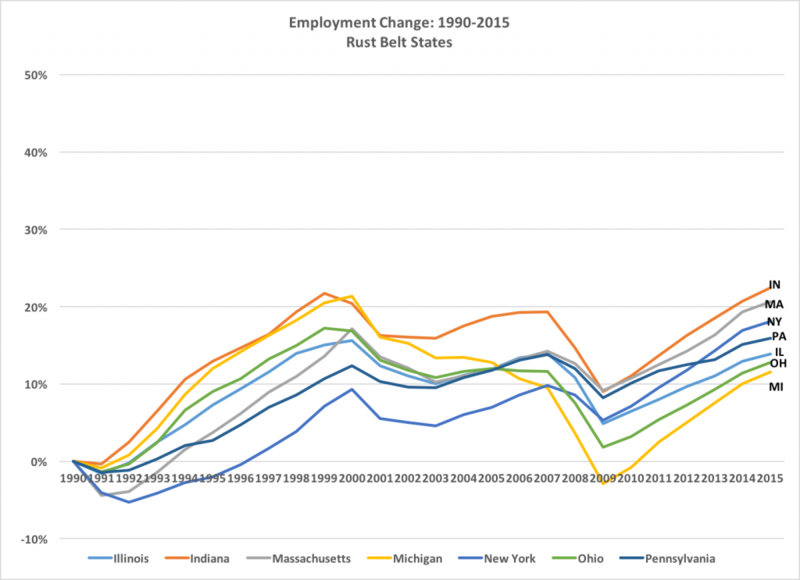 A look at employment change in other rust belt states shows that it is. 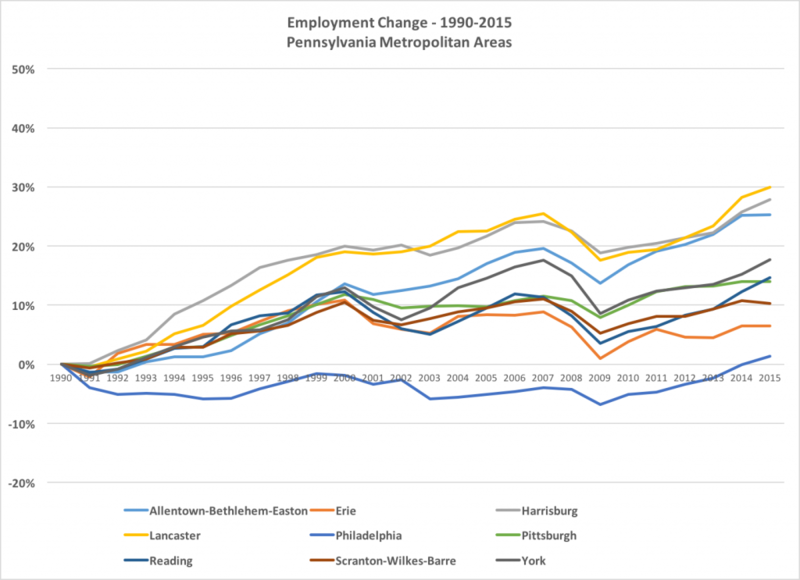 The differences in employment change between cities within each state were substantially larger than those between states. 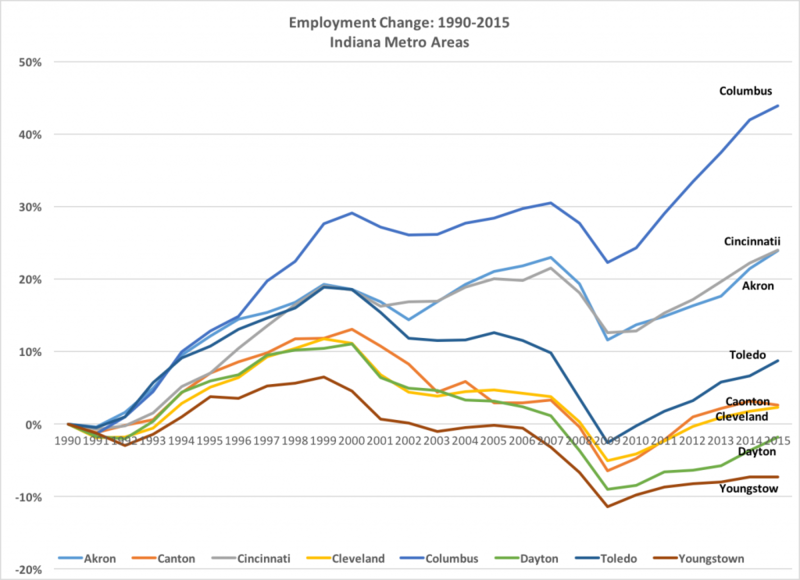 For example, Columbus, Ohio metropolitan area private sector employment grew more than 40% between 1990 and 2015, while Youngstown saw a decline of nearly 10%. In Michigan, Grand Rapids private sector employment grew by more than 40%, while Flint’s dropped by nearly 20%. The high level of dispersion between the economic performance of individual cities within states points to the fact that in these historically relatively undiversified metropolitan areas, the performance of a dominant industry or company can significantly affect metropolitan area private sector employment change. Both Detroit and Flint suffered signficantly from the woes of the domestic auto industry, while the Rochester area saw Eastman Kodak employment decrease from nearly 50,000 in 1988 to a small fraction of that today. There is clear evidence that federal policies, whether relating to labor and environmental regulations, taxes, trade, or the use of fiscal and monetary policy, can have a significant impact on corporate decision making and job growth. But, former Senator Clinton’s claims about growing the upstate economy foundered on several realities. First, the Senator failed to recognize that the region’s job creation would largely depend on national economic conditions. When the national economy contracted from 2007 to 2009, any chance that 200,000 jobs would be created in upstate New York disappeared. And, it must be recognized that as a junior senator in a body of 100 members, Senator Clinton’s influence on federal economic policy was very limited. Policy claims about employment change in New York often center around the notion that New York’s high taxes have retarded the state’s growth. These claims are rooted in historical experience. Beginning in the 1960’s New York State began to see its manufacturing base erode, as textile manufacturers, appliance makers and others sought locations with lower labor costs and taxes, and easier regulatory policies. But it is important to remember that even then, other factors influenced location decisions. While some people and businesses moved south and west for lower living costs, quality of life was a factor as well, probably a more important one than tax costs. People chose to locate in the sunbelt to avoid cold winters and snow, and to access new opportunities found in these areas. As the nation’s population grew in the South and West, New York and other rust belt states were no longer as competitive as locations to serve national markets as they had been. Metropolitan areas in the rust belt stagnated as areas in the South and West grew. Areas that were heavily dependent on manufacturing saw the greatest losses. 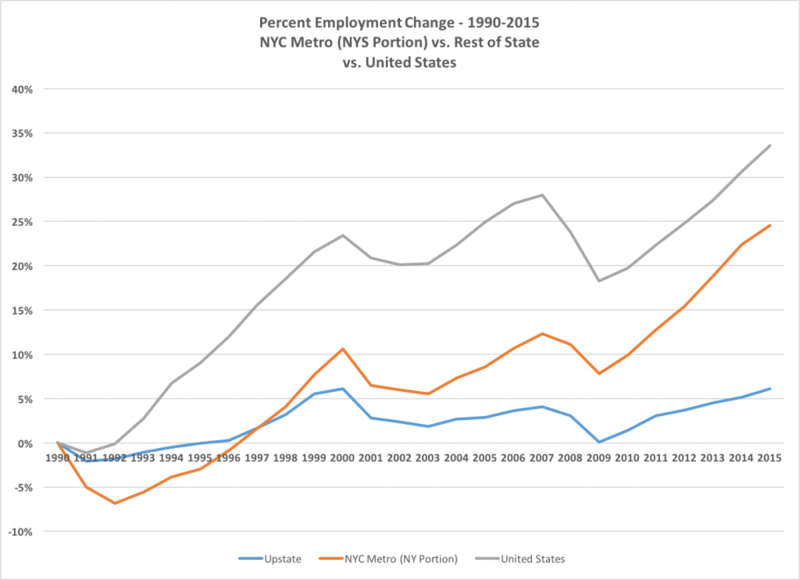 The data shows that New York’s employment change over the past 25 years has been similar to that in other rust belt states. The relatively small differences in performance at the state level do not show an association with state and local tax levels. There were large differences in relative job creation performance between metropolitan areas within states overall, and significant variations in the relative performance of metropolitan areas over relatively short time periods. Both of these findings are inconsistent with the argument that state and local tax differences are a primary explanation of state economic performance, since state and local tax burdens within states do not significantly differ, and New York’s state and local tax burden relative to other rust belt states has not shifted significantly over time. If tax levels were a significant factor influencing job growth, we would expect to find more consistent patterns of performance within states and across time periods, and differences in job growth between states that would be consistent with differing tax burdens. 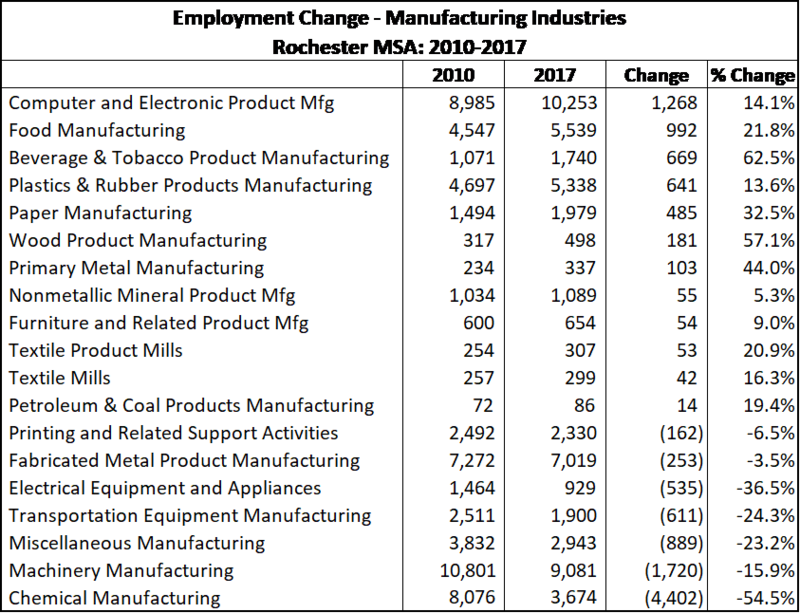 Instead, the data points to the fact that job creation in metropolitan areas depends mostly on their industry mix – the performance of the companies within the industries that make up their economies. These findings reflect the fact that today, state and local tax costs are a very small percentage of total firm operating costs, and that differences between states are even smaller. In earlier research, based on data from the Tax Foundation, I found that state and local taxes amounted to less than 4% of business operating costs (less than 2% for manufacturing businesses), on average, and that differences between New York taxes and taxes in other states were less than 2% of operating costs. These relatively small differences pale compared with the large differences in labor costs between locations in the United States and in low wage countries. One study, by Professor Peter Navarro, estimated that differences in labor costs between the United States and China could amount to 17% of the cost of production – more than ten times the impact of state and local taxes on manufacturing operating costs. For manufacturers, the large differences in labor costs and the growth of global markets have led to the movement of manufacturing operations to locations outside the United States. While New Yorkers might legitimately question whether the services they receive are good enough to justify paying state and local taxes that are 80% higher than the average for the nation, and substantially above the average for the rust belt, the data does not support the notion that high taxes have hurt employment levels in New York State. “As senator, Clinton promised 200,000 jobs in Upstate New York. Her efforts fell flat.” Jerry Markon, Washington Post, August 7, 2016. The New York Times carried an article, “Cuomo’s $15 Million High-Tech Film Studio? It’s a Flop,” on August 22nd. The article points out that the Central New York Hub for Emerging Nano Industries, owned by the Fort Schuyler Management Corporation (FSMC), a non-profit subsidiary of the SUNY Research Foundation, is largely vacant, and has housed only two as yet unreleased film projects creating several hundred temporary jobs. Currently, the facility employs only two workers, according to the Times. The fact that the SUNY created Fort Schuyler Management Corporation retained ownership of the solar panel factory, and leased it to Solar City, instead of providing a grant to Solar City for construction of the facility. Because a state created entity retains ownership, it carries the risk that if Solar City discontinues operations in Buffalo, FSMC would be stuck with a specialized facility that would have little market value, and significant costs associated with redevelopment. The project also suffers from inflated job creation claims, and enforcement responsibilities for job creation requirements are unclear. FSMC has never disclosed decision processes or benchmarks used in structuring the project. The Central New York Hub poses some of the same problems as the Solar City development, along with others. First, although the release claimed that the Hub would be a research and education center for advanced film production, it never identified the entities that would do research and provide education there. Instead, it identified a film production company that would do post-production work at the facility, and though that company produced a film there, the use of the site was associated with only one project that was undertaken in the area. In essence, the Hub was real estate development, without a well-developed business plan to utilize it. Today, no film production is underway, and there is no employment at the site by tenants. The Central New York Nano Hub employs an economic development model used by the SUNY Research Foundation and FSMC that involves developing, and in some cases equipping, facilities for the use of real or potential tenants. Tenants lease the facilities, in some cases for virtually no cost, with the expectation that they will create jobs. Because a non-profit (FSMC) that is the child of the State University develops the facility, a state related intermediary (Empire State Development) is required to impose and enforce contract requirements on FSMC, and to disburse money to it. But, because of the convoluted funding and ownership structure, Empire State Development has no direct relationship with the entities expected to create and retain jobs, complicating enforcement of any job requirements associated with the projects. In contrast, in the past, economic development entities at the State and local levels provide funding subsidies to entities creating and retaining jobs themselves – manufacturers and service companies – not real estate developers. Because of this direct relationship, enforcement of job requirements, by withholding or recapturing subsidies, is relatively simple. The development of the Central New York Nano Hub was speculative. As a result, the SUNY related entity FSMC has created a white elephant – a facility with no real likelihood that it will be used as intended. Consequently, at this point there is no real expectation of job creation, let alone enforcement of job creation requirements. Because the Syracuse Hub did not build on the strengths of existing area institutions, such as Syracuse University, or local businesses with expertise in the field, it lacked the essential organizational capital needed to succeed. This is in sharp contrast to the state supported development of nanotechnology and semiconductor manufacturing in the Albany area, which had strong leadership from Dr. Alan Kaloyeros at SUNY Albany, and relationships with significant technology leaders, including IBM and AMD, as well as semiconductor equipment manufacturers. The Governor established a process of regional competitions for economic development funding that required the development or regional strategic plans. The Central New York Regional Economic Development Council developed such a plan, “Central New York Regional Economic Development Council: Five Year Strategic Plan: 2012 – 2016,” and has updated it yearly. The plan identifies the region’s economic characteristics, and develops a strategy to build on area strengths, and remedy weaknesses. But the development of the Syracuse Nano Hub was done without reference to the plan or the area’s capacity to support film production research, education, or related businesses. In effect, the project was dropped on the region by the State University, without involvement of local partners. Without a disciplined approach to spending state dollars for economic development or for other purposes, taxpayer dollars are likely to be wasted. Because SUNY, through the Fuller Road Management Corporation, has declined to provide information about how it makes funding decisions, or justification for acting as project developer and facility owner, taxpayers cannot be assured that their money is being used wisely. Because the Central New York Nano Hub was developed without regard to existing regional economic development strategies, it did not build on regional strengths or remedy weaknesses. And, because the project was developed without local organizational commitments and partners, it had no real chance of succeeding. In the end, the State, through SUNY or Empire State Development, might find a tenant outside the film industry to create jobs in the region by providing additional financial incentives. But if it does, the Hub will be a government funded facility, paid for by taxpayers, competing with locations developed by area private sector developers. In 1987, New York State enacted legislation to create an Economic Development Zones Program, modelled after the enterprise zones concept, championed by Congressman Jack Kemp. Proponents argued that by reducing taxes in specific geographic areas with high concentrations of poverty and unemployment, existing firms would be more likely to create jobs, and other firms would be encouraged to locate in the areas and create jobs. 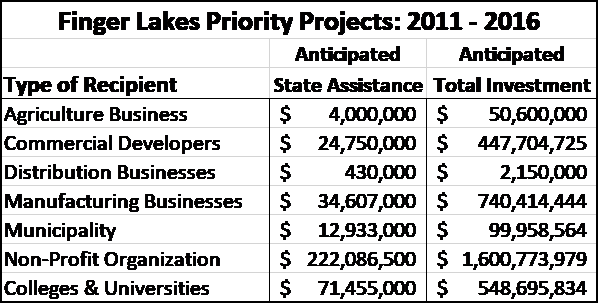 Enterprise Zones programs were attractive to policy makers, in part because they were “off budget.” The programs provided financial benefits to companies that, unlike incentive grants, did not require the appropriation of state budget dollars to pay for them. There is scant evidence that Enterprise Zones programs have been effective. See, for example, this GAO report, which concluded that evaluations of Federal Empowerment Zones and Enterprise Communities could not demonstrate effectiveness, and this study, which was did not show any impact as a result of Enterprise Zones programs in Florida and California. Evaluations of the New York State program found significant administrative problems, but did not find significant benefits. The major problem with the Enterprise Zones concept was that because the tax advantages provided by the program were insufficient to offset the perceived disadvantages of inner city locations, the program did not result in job creation within the zones. The program generated a cottage industry of consultants who advised businesses on how to take advantage of the benefits, by reorganizing in to new organizations so that existing jobs could be counted as new ones and by modifying zone boundaries, creating gerrymanders, to incorporate specific businesses. But, over the years, the program was expanded and the benefits deepened. It was renamed the Empire Zones program. More areas were made eligible, yet the areas that the program was initially intended to benefit – distressed inner city communities in New York State – did not see improved conditions. In fact, 20 years after the program’s enactment, they were in significantly worse economic condition. 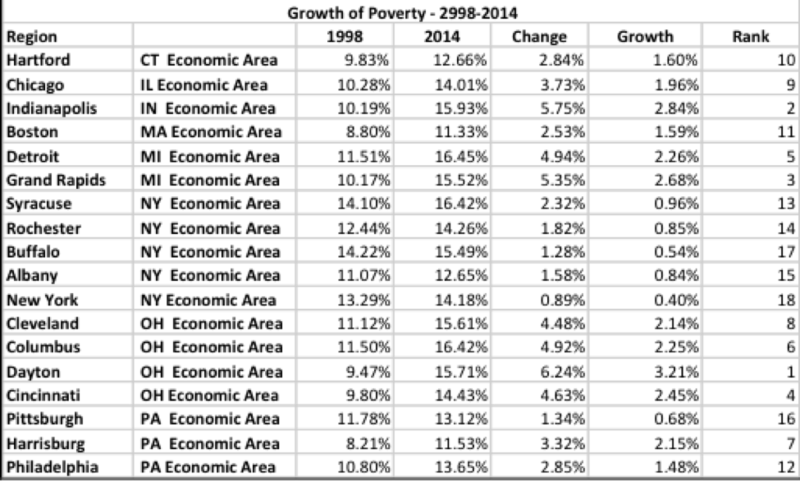 In 1969, upstate cities had poverty rates that were slightly higher than the average for the state. By 2013, most upstate cities had poverty rates that were more than double the state’s. In the end, Economic Development Zones/Empire Zones became an embarrassment to successive governors and Empire State Development because of the difficulties in policing the abuses of the overly complex program, and its lack of success in inducing job creation. Successive legislative efforts to “clean the program up” were met with continued creative approaches to exploit it by businesses. The program was ended in 2010. Despite the failure of the tax benefits contained in the Economic Development Zones and Empire Zones programs to induce job creation, and despite the administrative difficulties associated with administering the programs, Governors Paterson and Cuomo continued to rely on tax incentives as key elements of their economic development efforts. Governor Paterson initiated the “Excelsior Jobs” tax credit that focuses on providing benefits to companies in industries that make capital investments and/or create new jobs in manufacturing and other sectors of the economy. Governor Cuomo proposed the Start-Up NY program that offered tax-free benefits to certain businesses in selected locations connected to universities and colleges. Both programs were promoted as major initiatives that would significantly improve New York’s economy. 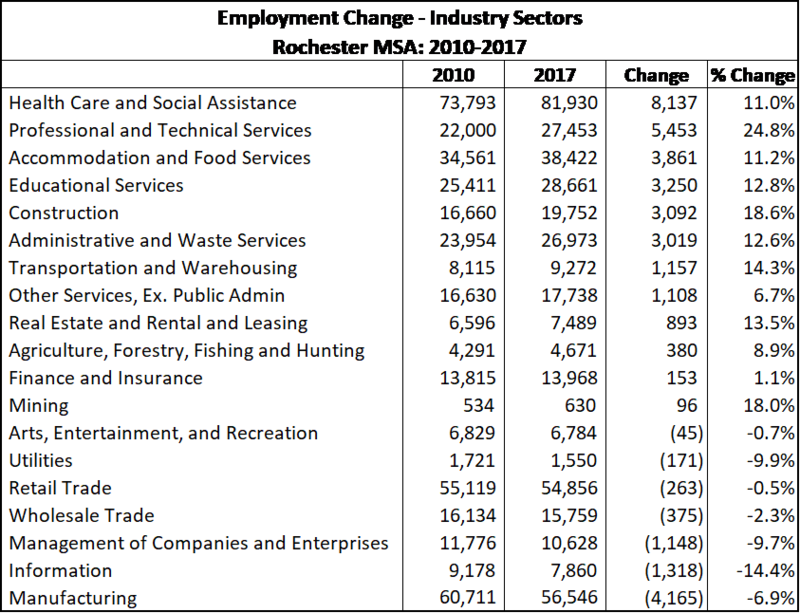 But like the Enterprise/Economic Development/Empire Zones, the programs have failed to create significant numbers of jobs. And, the job creation figures reported for them contain many jobs that would likely have been created without the loss of tax revenues. Business tax incentives are similar to incentives provided to buyers of electric cars or insulation for their homes, in that people or companies become eligible by doing something that government considers desirable – conserving energy or creating jobs. But, they contain no “but for” test – users of the credits are not required to show that without the credits they would not do what is being incentivized. As a result, some credits are always wasted on “free riders” — people or companies that would have acted if the credit was not available. The use of tax policy to incentivize behavior is widespread, and if large enough, credible arguments can be made for their effectiveness. For example, the available federal tax credit for the purchase of a Nissan Leaf, an electric car, is $7,500. The advertised price of a Leaf begins at about $30,000. Similarly, federal credits for energy conserving improvements in households have been as much as a quarter of the cost. While we do not know how many of the people who purchased Nissan Leafs or weatherized their homes did so because of the availability of financial incentives from government, it is likely that some did. But, while energy conservation incentives have been designed to be large enough to change people’s purchase decisions, state taxes are too small as components of business revenues to make a significant difference in most cases, particularly given the large differences in wage rates, which are a larger portion of business costs, between the United States and competitive locations. The Tax Foundation published a comparative analysis of total state and local tax costs for representative businesses in seven industries, including manufacturing, distribution, corporate headquarters, research and development, call centers, and retail. From their data, I calculated total state and local tax costs as a percentage of firm operating costs, and compared New York with national medians, and with nearby states. The data shows that state and local tax costs are a very small percentage of total firm operating costs, and that differences between states are even smaller. New York State had higher total state and local tax costs than the national median for most types of businesses, but the differences ranged from 0.7% more for call centers, to 1.8% more for research and development facilities. For manufacturers, New York’s total tax costs were lower than the national median, but again the difference between state and local tax costs for manufacturers in New York State and for manufacturers in other states was less than 1% of operating costs. Compared to neighboring states, the picture was similar. New York state and local tax costs were higher for some businesses, but lower for others. But, in most cases, variations in other factors in the cost of production could be large enough to significantly change the relative advantage of differing locations. In many cases, state taxes are too small a component of business revenues to make a significant difference in comparative location costs. Fifty years ago, American businesses competed with businesses in other locations in the United States. Differences in wages, construction and transportation costs were relatively small. Today, with globalization, for manufacturers and other businesses that can move operations offshore, the large difference in wage costs between any state in the United States and in low wage locations outside the United States would swamp differences in company operating costs resulting from differences in state and local taxes. While manufacturing cost structures vary widely, on average, labor is estimated to account for 21% of manufacturing costs. In an article examining China’s manufacturing cost advantage, Peter Navarro, Professor of Economics at the University of California, Irvine, estimates that the cost of labor in China, adjusted for productivity differences, is 18% of that in the United States. As a result, Navarro estimates that manufacturers would save 17% of manufacturing costs by producing in China, compared to the United States. Business locations are not based solely on cost factors – labor availability, site quality, transportation, quality of life and other factors come into play. But, available evidence shows that differences in state and local tax levels are relatively small factors in business costs, and that adjusting state tax structures to reduce business tax burdens has limited impact. Eligible industries are those that could create net new jobs in New York State, not those, like most retail jobs, that simply move jobs from one company in New York State to another in the State. The program description states, “The Program is limited to firms making a substantial commitment to growth – either in employment or through investing significant capital in a New York facility…The Job Growth Track comprises 75% of the Program and includes all firms in targeted industries creating new jobs in New York.” While the program requires a commitment to job growth and/or investment, it does not limit program benefits to firms that would not expand or locate in New York State without the assistance. The program requires that participants receving credits for job creation or investment have a positive benefit/cost ratio, defined as “total investment, wages and benefits divided by the value of the tax credits, or 10 to 1 or greater. The program provides a refundable credit equal to 6.85% of new employee wages, or two percent of qualified capital investment, or 50% of the Federal Research and Development Credit. Various employment and investment thresholds along with an aggregate benefit cap limit eligibility. Aggregate benefits were initially limited to $250 million annually. Though the program had a generous dollar allotment for credits, credits actually issued never came near the $250-million-dollar annual limit. In its best year, it provided $18.4 million in credits. Activity decreased to $745,000 in 2015. The program has had a small job creation impact. Empire State Development reports that companies receiving credits during that time period created 15,582 net new jobs, at a cost to the state of $47,357,602. The program’s impact has decreased in each of the last two years, with only 531 jobs credited as being created by companies receiving the tax credit in 2015. Because the program does not have a “but for” requirement, ESD’s job figures certainly overstate the program’s true job impact. While the exact percentage of “free rider” jobs is not known, one study estimated that nine of ten jobs created by companies receiving business tax incentives would be created without them. If that is true for the Excelsior Jobs program, the true program impact would be only about 1,500 jobs, three tenths of one percent of New York’s private sector employment growth during the period. Additionally, a recently issued audit from the State Comptroller’s office points to issues with ESD’s administration of the Excelsior Jobs Program. The describes weaknesses in ESD’s processes in evaluating applications in in confirming job creation claims (note that the agency disputes a number of the audit’s findings.) In particular, the audit noted that “ESD generally authorizes tax credits based on the job numbers and investment costs that businesses self-report without corroborating support…. Why has the program failed to have a significant impact? The evidence points to the fact that because much of its emphasis is on manufacturers and other companies that could locate outside the United States, it does not offer benefits that are sufficiently large to offset the cost disadvantages of creating jobs in New York State, or anywhere else in the United States. “START-UP NY offers new and expanding businesses the opportunity to operate tax-free for 10 years on or near eligible university or college campuses in New York State. The State Comptroller found that between October 2013 and October 2014, ESD committed $45.1 million to advertise the program, generating more than 15,000 applications during the period. However, despite the heavy advertising for the program, which continued after the period examined in the Comptroller’s report, the program has had almost no job creation impact. Empire State Development has issued two reports on the program’s progress. In 2014, companies assisted by the program created 76 jobs, while in 2015, assisted companies created 332 jobs. The state tax benefits provided per job through the program were even smaller than those offered by the Excelsior Jobs Program, averaging $1,121 per job created (not including local property tax exemptions). And, because Start-Up NY has no requirement limiting assistance to companies that would not create jobs in New York without the tax credits offered, it is likely that the jobs reported substantially overstates the program’s actual impact on job creation. Regional Economic Development Councils: Regional councils are required to create strategic plans, set clear goals, and disclose progress in meeting established goals as a condition to receive funding for proposed projects. While Regional Council strategies and reports vary in quality, some are well grounded and provide good disclosures of project performance. Project Based Assistance: Assistance from the State and localities for plant and equipment capital costs and for customized job training that employs a “but for” test can be effective in inducing companies to create and retain jobs because the amount of assistance offered may be large enough in relation to project size to affect company decisions. ESD, for example, uses “but for” tests in making grants, employs benefit/cost benchmarks, and monitors company performance in meeting performance goals. 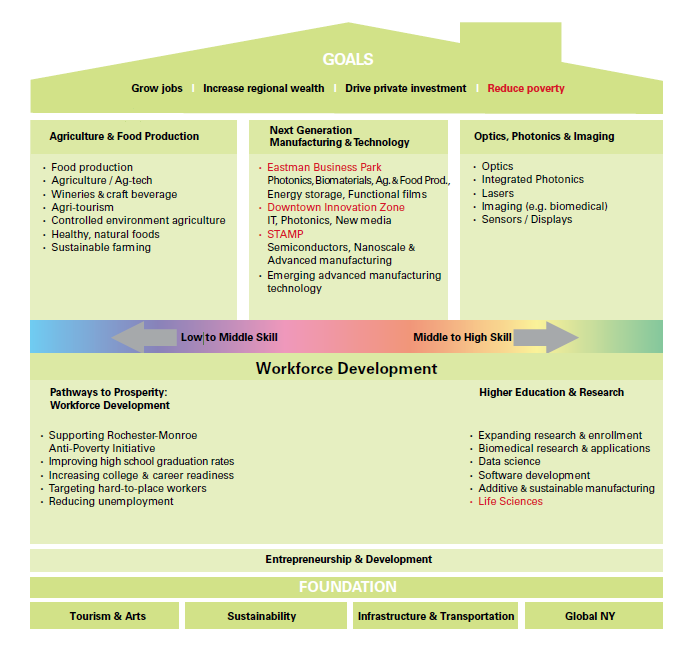 Develop Long Term, Well Integrated Industry Development Strategies: For example, New York, through Empire State Development and other agencies, provided substantial assistance to the development of nanotechnology research and development capacity at the College of Nanoscale Science and Engineering, and with local partners, significant financial assistance to the development of the Global Foundries chip-fab facility. In Buffalo, the State has assisted in the region’s effort to enhance its bioinformatics and life sciences concentration at Roswell Park and related institutions. Efforts like these take an integrated approach to industry development. Recognize that Retaining Existing Jobs Should be as High a Priority as Job Creation: Because decisions of existing businesses about expansion, contraction or closing can have large effects on a state’s economy, state and local economic development agencies need to focus on understanding the needs of local business and assisting them, where appropriate. Support Entrepreneurship: Evidence shows that entrepreneurial training programs increase business startups. New York has an existing program, the Entrepreneurial Assistance Program, that focuses on minorities, women, dislocated workers, public assistance recipients, disabled persons and public housing residents. While the focus on disadvantaged workers is commendable, broader availability could increase the program’s reach. There has been longstanding concern about the impact of the decline of manufacturing, particularly in upstate New York. The region’s population growth has been very slow, while its central cities have seen significant population declines. Compared to thirty years ago, the residents of upstate central cities are far more likely to live in poverty. These are all significant concerns. But, even upstate, the region’s overall economic health is as good as, or better than the average for nearby states. Each of the Metropolitan areas in New York State, including those in upstate New York had greater growth in real gross domestic product per resident than the average for metropolitan areas in nearby states. But, the growth of poverty in New York metropolitan areas was below the average for nearby metropolitan areas. Private sector wage growth in New York State presented a more mixed picture – Buffalo, Albany, and New York City did better than regional average, while Syracuse and Rochester did worse. While the economic condition of metropolitan areas in New York State, including those in upstate New York, improved relative to nearby areas, in most cases, some places in the state are in very poor economic condition. Upstate cities continue to lose population and have increasingly great concentrations of low income populations. Upstate downtowns have large amounts of vacant commercial space, and upstate cities suffer from blighted, abandoned housing. Minority group residents of upstate cities have average household incomes that are about one third of white suburban residents. Single parent families face significant obstacles to success, that also damage the prospects for their children: http://policybynumbers.com/category/single-parent-families. Racial segregation is highly related to poverty and poor student performance. http://policybynumbers.com/income-student-achievement. Cities have high concentrations of low income residents living in blighted neighborhoods, because most cannot afford to live in better quality housing. More housing vouchers, additional income supplementation, particularly for part-time workers, and increased job accessibility for low skilled workers would help central city residents find better places to live. Cities need help in tearing down vacant housing, cleaning up and reclaiming vacant industrial sites and rehabilitating blighted neighborhoods. But, the focus of highly publicized and expensively marketed economic development initiatives in New York State has been on ineffective programs that have led to negligible job creation. By all accounts they have not succeeded in “supporting significant potential for private sector economic growth” nor do they “give New York an edge, like we’ve never had before.” While many existing economic development efforts at the state and local level produce tangible results, few of them focus on the places in New York State that have done the worst, from an economic perspective. Given the growing bifurcation of the economic conditions of city and suburban residents, more attention should be given to them. The Tax Foundation calculated state and local tax costs as a percentage of net profits. But since companies seek to minimize overall costs, I compared taxes to total costs. (operating expenses, interest, taxes and preferred stock dividends, but not common stock dividends). Depending on the capital or labor intensiveness of a manufacturing process, the productivity of labor and labor demand and supply factors. Peter Navarro, “The Economics of the China Price,” https://chinaperspectives.revues.org/3063, p. 3. Manufacturing firms continue to operate in New York and the United States because of other kinds of location advantages, such as labor productivity, the need to be close to markets, or insensitivity to production costs. The small benefits provided by the program may reflect the fact that many of the firms participating in the program are start-ups, and have little taxable income. Benus, J. M., Wood, M. and Glover, N. “A Comparative Analysis of the Washington and Massachusetts UI Self-Employment Demonstrations,” Report prepared for the U. S. Department of Labor by Abt Associates. Note: This post is also published on The Empire Center website. The decision by the nation’s largest solar panel provider to locate a state-of-the-art manufacturing plant in Buffalo, and to create other jobs in Western New York, could be a needed shot in the arm for a city and a region that’s been declining economically for many years. But there are significant risks and unanswered questions associated with the state government’s willingness to commit the bulk of its “Buffalo Billion” resources to the massive SolarCity factory on the site of the former RiverBend steel plant. State taxpayers will be exposed to an unusually high degree of risk by the unprecedented structure of the SolarCity deal, under which Fort Schuyler Management Corp., a non-profit subsidiary of the State University’s College of Nanoscale Science and Engineering, is building the factory for the company, and will retain ownership. SolarCity’s up-front capital investment in the project is thus limited, weakening its incentive to remain in Buffalo after its dollar-a-year lease of the building expires in 10 years. SolarCity is one of three high-tech companies ultimately controlled by Elon Musk, the visionary entrepreneur who also founded Tesla, a maker of high-performance electric cars, and SpaceX, which makes rockets and spacecraft. After a series of financial maneuvers designed to improve SolarCity’s financial condition, Musk recent announced that Tesla would acquire the solar panel company. It remains to be seen how or whether the Tesla-SolarCity merger will ultimately affect the Buffalo project. The use of financial incentives by governments to attract businesses has long been controversial. From a critical perspective, incentives can be seen as inefficient and prone to favoritism, because they offer benefits to particular firms chosen by a government agency. Incentives are inherently unfair to competitors who do not receive them. The existence of economic development incentives encourages businesses to game the system by claiming that, without government assistance, they might not locate within a state or expand or otherwise upgrade operations. And by offering targeted incentives to selected companies, governments avoid changes in tax policy that would be more costly, politically as well as fiscally. From the perspective of elected officials, incentives are often viewed as a necessary evil. By offering incentives to particular businesses that promise to create or retain jobs, the state can avoid giving expensive tax breaks to all businesses. The discretionary nature of such programs reduces the overall cost of business retention and attraction compared to a universally available tax break. And, because most states (and localities) use some form of incentive as an attraction and retention tool, no one dares unilaterally disarm. However, public money should not ultimately supplant private investment. The purpose of economic development agencies is to encourage private sector businesses to invest their own resources to create or retain jobs. These agencies do so by providing financial assistance for capital projects and worker training. In determining whether to provide assistance, and how much to offer, these agencies must assess how much assistance is necessary, the return on public investment that would result, and the risk that promised outcomes will not be achieved. As public agencies, they must operate in a relatively transparent fashion, providing public information about project assistance, benefits and costs, and company compliance with investment and job commitments. The largest incentive package in New York’s history—packaged a decade ago by Empire State Development[i] for the AMD/GlobalFoundries semiconductor chip fab in Malta—was consistent with these guidelines. It involved State grants totaling $650 million (and more in potential tax breaks) to create a promised 1,200 jobs. To be sure, the state’s subsidy of the GlobalFoundries plant was criticized in some quarters as “corporate welfare” and an unprecedented “giveaway.” However, the company’s initial investment of $1.7 billion was much larger than the state government’s. [ii] In seeking to become the site of a planned new chip fab plant—of which there are only a handful in the world—New York faced competition from the State of Saxony in Germany, where the company had an existing facility, and which had made an equally large offer. Governor Andrew Cuomo has favored a new model of economic development financing while championing a number of high-profile, high-technology projects, managed by the State University of New York’s College of Nanoscale Science and Engineering (CNSE) through a non-profit subsidiary, Fort Schuyler Management Corporation (FSMC). The state sends money through the Empire State Development Corporation to FSMC, which builds manufacturing facilities at no capital cost to the companies that will use them. Fort Schuyler Management Corporation is one of several private non-profit organizations created to facilitate SUNY’s mission. FSMC, for example, was created by the SUNY Research Foundation and the Institute of Technology Foundation at Utica/Rome, Inc (ITSC). Although FSMC and ITSC are private, 501(c)3 corporations, not public entities, each has a Board of Directors whose members largely come from the ranks of SUNY administrators. The largest of the technology projects—SolarCity, a solar panel manufacturer—like other CNSE/FSMC developments, is financed in a completely different way than earlier business attractions in New York state. [iv] The CNSE/SUNY-related 501(c)3 non-profit is building and equipping the solar panel factory at a total cost to the state of $959 million, including $200 million for environmental remediation of the former steel plant site on which the factory is being built. Fort Schuyler will continue to own the facility once it is completed. Finally, SolarCity promises to employ 5,000 people in total in New York state (which may include sales and installation support jobs) by the 10th anniversary of the factory completion date. As long as SolarCity meets the agreed-upon job requirements, it has access to a fully equipped facility, totally free of capital costs. (It is also eligible for significant tax breaks)[vii]. As a result, no private capital dollars towards the cost of the facility and its equipment are leveraged by the state’s contribution of more than $900 million in public dollars. In effect, they are a gift to SolarCity from the people of the State of New York, for a lease cost of $1 per year. [Fort Schuyler Management Corporation] is responsible at its cost to achieve manufacturing facility completion, including to acquire all manufacturing equipment and to provide for all manufacturing equipment to be delivered to the manufacturing facility. Once manufacturing facility completion has been achieved, including all manufacturing equipment has been acquired and delivered to the manufacturing facility, [SolarCity] is responsible at its cost to achieve manufacturing equipment commissioning and full production output, provided however, that the cost of manufacturing equipment commissioning shall be funded by [Fort Schuyler Management Corporation]. [SolarCity] shall lease the manufacturing facility and manufacturing equipment for the manufacturing equipment from [Fort Schuyler Management Corporation] for a period of ten years for the sole consideration of one dollar $1.00 US per year…. To understand the value of this gift, recognize that for SolarCity to undertake the project itself, it would have two alternatives. It could go to the credit market and attempt to sell bonds, perhaps at junk bond interest rates, given the young company’s limited track record. Or, it could sell part of itself, by issuing additional stock. Either approach would result in existing owners holding a smaller portion of the company. Because SolarCity has access to free capital from New York State to construct and equip the manufacturing facility that it will operate, the financial risk to the company’s operations is greatly reduced. As long as it meets the contractual employment target for ten years, it need not worry about paying substantial fixed costs. Through Fort Schuyler, New York State will face significant risks, however. And unlike the company’s shareholders, FSMC and New York State will not receive a direct financial benefit from any profits that SolarCity generates. The first risk that New York faces is that the company will be unable to meet its employment objectives or fail outright, despite the state’s huge investment. The SolarCity MOA contains a rigid set of job creation and retention requirements for a ten-year period that will be difficult to enforce. The MOA’s recapture requirements provide that in any year that the company fails to meet its employment mandate, it must pay a penalty of $41.2 million. Because of the long 10-year term of the job creation and maintenance requirements, it is quite likely that a significant recession could occur during the contract period. But because the job maintenance requirements do not include any tolerance for such an event, there is a significant likelihood that the company will be in default at some point during that period. A 30 percent federal tax credit for residential solar installations is scheduled to begin ramping down after 2019, hitting 22 percent before expiring after 2021. But even assuming that credit is extended, SolarCity plant’s output is likely to be highly cyclical. During recessions, consumers tend to postpone discretionary spending, including home improvements such as solar panel installations. Imposing the required penalty at a time when the company is faced with reduced revenues because of a recession may weaken the company’s financial position to a significant degree, creating pressure on FSMC to renegotiate the agreement to reduce employment targets. Or, if the employment penalties are imposed, the company’s long-term health may be weakened. Similarly, since SolarCity operates in a competitive environment, it may find it to be difficult to maintain its market position over a full 10 years—a relatively long period, particularly for firms operating in environments where technology is rapidly evolving. For those reasons, economic development agencies typically offer smaller amounts of financial assistance to companies and impose contractual job requirements for shorter time periods—in many cases five years. Even with these shorter job commitments, contract enforcement policies often provide some leeway for adverse events affecting assisted companies. It should be noted that SolarCity’s operating position has not been robust. The company has lost more than $50 million in each of the last four years and, as of late June, was is in the process of awaiting a cash transfusion in the form of a proposed acquisition by Tesla Motors, another company founded by Elon Musk. While net losses are not uncommon in emerging technology companies bringing new products to market, the nature of these ventures is inherently riskier than that of more established operations. The contract also contains provisions providing for recapture if the company totally ceases operations, as in the event of bankruptcy. But if that occurs, Fort Schuyler will be one among a large group of creditors, none of whom is likely to be made whole. Proponents of the approach used to finance SolarCity might argue that state ownership of the facility provides a significant advantage to state taxpayers. But in fact, public financing and ownership of the entire facility create a significant liability for the Fort Schuyler Management Corporation and potentially to New York taxpayers. Assume, for example, SolarCity meets all of its commitments, occupying and operating the new plant for 10 years—but, in year 11, the company decides it would be more profitable to make the solar panels in China. Having met its commitment to New York, the company can walk away from the facility, having risked no capital of its own to build and equip it. Because SolarCity has no capital investment at stake, leaving it would not affect the company’s balance sheet in a negative way. Nor would it face the task of disposing of the property, or of paying the cost of remediating any new environmental impacts. Under this scenario, Fort Schuyler would be stuck with a facility that was designed and equipped for a specific purpose, for which it would be unlikely to find a tenant. Like the many abandoned industrial sites in Western New York, it would require demolition and potentially an environmental cleanup, the cost of which could be borne by New York taxpayers. The language of the MOA makes clear that 2,000 of the required jobs in the first five years are not manufacturing related, but are instead in part “to support downstream solar panel sales and installation activities within New York State.” In other words, SolarCity can count these salespeople and solar panel installers towards its promise to locate 3,400 jobs in New York within five years of completing the new factory. But salespeople and solar panel installers are not moveable employees—they must be located near the markets that they serve. If SolarCity built the same plant in Pennsylvania, it wouldn’t employ fewer installers or salespeople in New York. Similarly, the agreement with SolarCity specifies that the company must commit to employ 5,000 people total in New York state by the 10th anniversary of the factory completion date. But, in addition to the sales and installation support jobs that are included in the first-five year requirements, the agreement allows support jobs at SolarCity contractors and suppliers to be counted toward meeting the contract requirements (Section 4.4 (c) of the Agreement). [ix] And the agreement makes the SUNY Research Foundation along with SolarCity responsible for attracting and retaining the jobs. As a result, many of the 5,000 jobs that SolarCity commits to at the end of 10 years may neither be at the facility that New York State ultimately is paying for, or at the company that it is assisting. There are justifications for states to offer economic incentives to companies to encourage them to locate employees in a state that they might not otherwise choose, but there is no real justification for giving incentive dollars to companies for employees whose locations depend on where their customers live. Nor should incentive deals count employment gains at companies not contracted by a state-related entity to create or retain jobs. But given the shrinking job numbers at the solar panel facility, perhaps it is not surprising that SolarCity and CNSE/FSMC were anxious to find ways to make the impact of the project appear to be larger, including jobs that would not necessarily be located in New York state, and jobs at other companies in New York that contract with and supply the company. What is the Real Value of the Project and Who Will Enforce Employment Requirements? One of the more curious aspects of the SolarCity project and others managed by FSMC, including a light-emitting diode manufacturing facility in the Utica area, is the funding mechanism and the assignment of compliance responsibilities. Empire State Development’s board package for April 21, 2016[x] for SolarCity includes a cost-benefit analysis for the project. ESD’s analyses are rigorous, and are based on a widely used economic model. The published result was surprising: an economic return of 54 cents for each dollar invested in the project. In other words, for every two dollars invested in the project, the state is expected to lose one dollar. There is an explanation for this, however, because the analysis published by ESD includes only the impact of construction-related activity, not the ongoing employment at the facility. 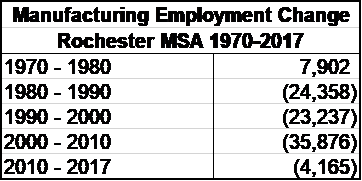 It appears that ESD’s analysis did not include the impact of ongoing employment because ESD’s contractual relationship is with Fort Schuyler Management Corporation, not SolarCity. Since ESD has no relationship with SolarCity, it is not a party to job commitments or enforcement of them. To date, FSMC has published[xi] few relevant documents on its website. Since FSMC is a private, non-profit corporation, it initially claimed not to be subject to the public meetings and freedom of information requirements that state entities must meet. [xii] FSMC does not publish cost-benefit analyses of its projects, so we have no idea if the project will generate a positive economic return to the state if it is executed as the contracts specify over 10 years. So ESD is responsible for contract compliance between CNSE/FSMC and SolarCity, even though ESD not a signatory to the Agreement. This is necessary because, as noted, FSMC is a separate, private entity that owns the facility and equipment that will be leased to SolarCity. Though the contractual jobs commitment is between Fort Schuyler and SolarCity, FSMC would have a perceived conflict of interest if enforcing the contract’s job-creation provisions affected the company’s ability to meet other contractual commitments with Fort Schuyler. ESD’s board ultimately is providing state funding for the plant. The directors’ materials for the SolarCity project, dated April 21, 2016, include this statement: “Although there is no job creation or retention requirement for this project, this effort is expected to create more than 5,000 jobs …”. [xiii] In a separate reference to the project, page 10 of the same ESD board materials states: “There is no recapture based on the created jobs.” Thus, at this point, ESD’s board actions do not reflect the terms of the agreement between SolarCity and CNSE/FSMC. The fact that a state-related entity owns SolarCity’s manufacturing facility and its equipment complicates the enforcement of job requirements. The language contained in ESD’s latest board action suggests that unresolved issues exist regarding the means by which job-related contract enforcement will be implemented. In the same regard, the contract between Fort Schuyler and SolarCity does not make clear which entity, the public Empire State Development Corp. or the private non-profit FSMC would receive and retain any repayments made in the event of the failure of SolarCity to meet contractual requirements. Repayment provisions in earlier contracts by Empire State Development, such as that with AMD/GlobalFoundries, provided that repaid money would be returned to a state entity. The commitment of three-quarters of a billion dollars of state money to a factory and equipment for SolarCity, and an additional $200 million for cleanup of the former steel factory site on which it is located, is being done in pursuit of a worthy goal. The Western New York economy, and that of Buffalo, in particular, continues to be among the weakest in New York state. For that reason, the decision to put a particular focus on the area’s needs is sensible. First, by committing a huge portion of “the Buffalo Billion” to one project, there is a great risk that most of the dollars available to help the region’s economy will go to waste. Second, by choosing to build and equip the SolarCity facility without cost to the company, New York and SUNY/CNSE fail to leverage any private sector capital investment in the building and its equipment. In effect, since Fort Schuyler owns the means of production managed by SolarCity, this is a form of socialism for the benefit of a particular company. Third, because the company has not invested its own capital in the facility, it has less reason to remain in Buffalo after the lease period ends than if it had invested its own money. Fourth, because Fort Schuyler owns the building and equipment, this state-related entity has assumed the liability that will result from its ownership if SolarCity fails or leaves after the lease term. Fifth, because the agreement between SolarCity and CNSE/FSMC inflates the company’s job commitment with local sales and installation jobs, and jobs that are not at SolarCity, the project job impact is overstated. Finally, the relationship between CNSE/FSMC and Empire State Development leaves a number of open questions around the job requirements associated with the project and the responsibility for ensuring that job creation promises will be met. Every time government assists a business, by providing a financial incentive, it assumes risks. Companies operate in a competitive market in which the demand for their products or services may decrease or disappear. This can be the result of a variety of factors ranging from poor management, to changes in consumer tastes, to the development of newer technologies that obsolete existing products. The locations of markets may shift, or the cost of production in a particular location may become increasingly uncompetitive because of factors like labor and materials costs in other locations, exchange rates, or the cost of shipping. Finally, assisted companies may game the state, by asserting the need for incentives to retain or create jobs within New York’s borders, or by claiming that they will hire or retain more employees than they actually intend to. Because the SolarCity project is being carried out by a private non-profit corporation, accountability safeguards used by public agencies have not been implemented. While state entities like Empire State Development provide public records of decision processes, and full information about project benefits and costs, this information has not been available until recently for SolarCity and other FSMC-managed developments, and even now does not provide project benefit/cost information. This is true, despite the fact that the SUNY related non-profits are owned and directed by boards of directors whose members are largely representatives of New York State agencies. Economic development carries inherent risks. Decision makers must evaluate them when deciding how many public dollars, if any, to commit to a project. And, they must consider, when helping a company make a large capital investment, how much risk they are willing to assign to taxpayers, and how much can be avoided by structuring assistance packages and compliance requirements. In this case, the public has little information about how decision makers evaluated risks and benefits, and why a SUNY related entity (FSMC) chose to assume so much of the cost and risk associated with the development of the solar panel manufacturing facility for SolarCity. Despite their “private” status, FSMC and other non-profits operated by SUNY should be subject to the same transparency requirements as public entities. They should publish meeting proceedings and board materials on their websites; and they publicly disclose all available information about benefits and costs, and about criteria used in making project decisions. The decision of FSMC to keep ownership of manufacturing facilities and equipment should be reconsidered, because public ownership creates a significant liability for FMSC and New York State in the event that the company fails or decides to terminate the lease at the end of its term. To ensure a reasonable return for taxpayer-funded assistance, and to maximize company stakes in assisted projects, public investments should seek to leverage private capital investment in plant and equipment, not replace it. Companies that receive public assistance should be required to make a significant capital contribution to the cost of facilities and equipment. Job commitment requirements should be constructed to provide real benefits to New York state. Companies should not include local sales and installation forces in commitment numbers, and should not include employment at companies that are not part of the assistance agreement with the state related entity. [i] Empire State Development is New York’s lead economic development agency. The author was a senior executive there between 1995 and 2007. [ii] A portion of the state’s indirect subsidy (for GlobalFoundries) took the form of promised corporate tax breaks, whose value has likely been diminished by the Legislature’s 2014 vote to phase out all corporate taxation of manufacturing companies. [iv] Other projects managed by FSMC are financed in much the same way. They include a hub for nanotechnology related film and television in Syracuse, and a computer chip commercialization center in the Utica area. [vi] In these quotations, “SolarCity” has been substituted for the name of the predecessor company, “Silevo,” which had the original agreement with CNSE/FSMC. [ix]http://static1.squarespace.com/static/547d03b1e4b04c7d4872dd01/t/56d73267ab48def0679bd8e5/1456943719940/Silevo+Amended+Restated+Agreement+-+fully+executed+%289-4-14%29.pdf Note that the fact that some of the jobs counted towards the job creation requirement are not at entities that are part of the agreement may make it difficult get data from them to verify claims about employment levels at their locations. [xi] Note that after public pressure, in a press release dated June 22, “Fort Schuyler Management Corporation Board of Directors Unanimously Votes to Open Meetings to Public” FSMC agreed to open its meetings to the public, agreed that it was subject to FOIL, and agreed to publish documents online. [xii] To the contrary, Robert Freeman, the head of New York’s Committee on Open Government has opined that FSMC is subject to the State’s Freedom of Information Law. The Albany Times Union carried an article on March 24 detailing the connections between researchers who produced the reports for and against a minimum wage increase that I discussed in my post “A $15 Minimum Wage for New York – Benefits and Risks.” The article points out that one of the authors of the study favoring the minimum wage, Ken Jacobs, was closely connected with the campaign to increase the minimum wage. The economist, Ken Jacobs, was set to testify before the New York state Senate’s Labor Committee about the benefits of municipal minimum wage hikes in California. The Times-Union article points to a fact that has long been recognized, that the funding of public policy research is rarely truly independent. None of this proves that the research intentionally intends to mislead, but it does illustrate the connections between political and financial interests and those who study important policy issues. The kind of financial support that has been provided by labor and business interests in this case is found in the financing of other kinds of research studies. Pharmaceutical and food safety research are examples. There has been widespread publicity about the financial connections between researchers and the drug companies that could benefit from positive findings about the effectiveness of a drug. Why is this pattern so prevalent? The first reason is that the stakes attached to the outcomes of policy decisions, like those of decisions about food safety or drug efficacy, are high. For employers, a hike in the minimum wage could cut profits, or, for some small businesses, threaten their existence. For labor, a hike in the minimum wage could improve the lives of low wage workers. The second reason is that the entities that do research operate like businesses. Many years ago, I taught at a college, and one of the things that was made clear to me was that colleges and universities have limited resources to support research, and that if research is costly, faculty should look to outside entities to help pay the cost. From the institutional perspective, outside funding provides the resources for additional personnel and needed equipment. Similarly, consulting firms are driven by the same logic. In the end, someone has to pay the cost of salaries and facilities. Very often the funding needed by these firms is most available from groups in society that have policy agendas. Some, like American Action Forum, appear to have been created to serve particular interest groups. None of this means that the results reported by researchers on each side are falsified. They represent real differences of opinion among economists who understand the impact of policy changes differently. But the funding of policy research by competing interests can lead to the exaggeration of differences in conclusions about policy outcomes. 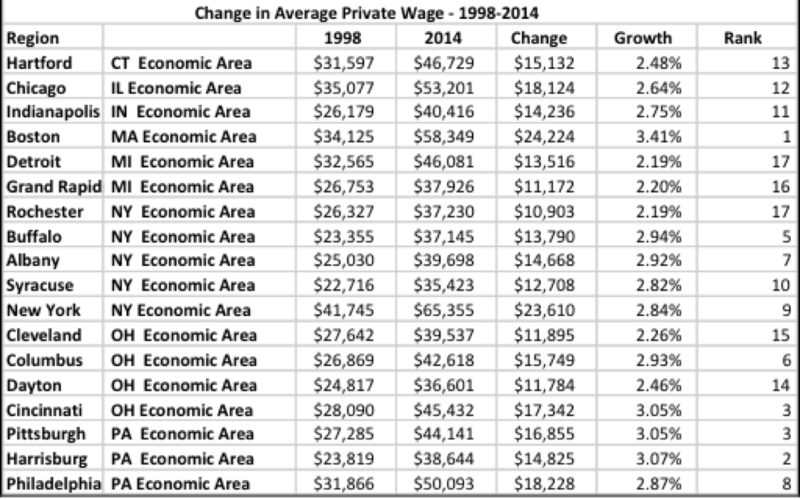 In my earlier piece, I pointed out that the Congressional Budget Office (one entity that does not receive funding that comes from a group for or against the minimum wage increase) in its research presented a range of possible outcomes – in the case of a federal minimum wage increase, they projected the possible loss of a few to a million jobs, with a center point of 500,000 jobs. But neither the American Action Forum, or the the Center for Wage and Employment Dynamics at Berkeley presented a range of possible outcomes. Instead, each presented point estimates of impacts leading to sharply different conclusions about the employment costs of a minimum wage increase, suggesting a greater degree of certainty about conclusions than may be warranted. Finally, it should be noted that readers might conclude from the Times Union piece that the competing studies presented by business and labor interests “fog” the real answer to the employment impact question, in the way that tobacco companies funded studies in an attempt to shed doubt on data that showed that smoking is harmful to health. In fact, that conclusion would be incorrect. The reality is that there is no consensus, and that in this case the competing studies represent real differences of opinion between experts. Recently, a friend and colleague from the time when I worked at Empire State Development suggested that I take a look at Governor Cuomo’s proposal to raise New York’s minimum wage to $15 from $9.00. Like others, I’m sure that he wanted to cut through the competing claims about the impact of the proposed increase. A columnist for the Albany Times-Union, Fred LeBrun, expressed the confusion felt by many, writing, “The truth is I don’t really know what the impact will be. I’m not sure anybody does. Predictions vary wildly. Nor are the Cuomo administration and the Democratic Assembly making any serious effort to find out.” The reason for LeBrun’s confusion and frustration is that there is no certain answer to his question, nor can there be at this point in time, given the complexity of the factors involved in estimating the benefits of a minimum wage increase, and the lack of solid data available at the state level. As with many political issues, there are sharply divergent perspectives to the costs and benefits of raising the minimum wage. A well known Albany think tank, the Empire Center for Public Policy, released a report late last fall, “Higher Pay, Fewer Jobs,” written by Douglas Holtz-Eakin and Ben Gitlis of the American Action Forum, the policy arm of the American Action Network, a group that has provided substantial support for Republican candidates for Congress. The report presents three models of the impact of the proposed increase in the minimum wage to $15, and finds that the proposal would reduce employment in the state by “at least 200,000 jobs, with proportionately larger employment decreases in upstate regions.” The report also estimates that the proposal would increase wage earnings by $4.6 billion. On the other side, the Center for Wage and Employment Dynamics (CWED), at the Institute on Labor and Employment at the University of California, Berkeley issued a report, “The Effects of a $15 Minimum Wage in New York State,” by Michael Reich, Sylvia Allegretto, Ken Jacobs and Claire Montialoux. CWED has received funding from the Fiscal Policy Institute, a union funded think tank. That report concluded that “a $15 statewide minimum wage would generate a 23.4% average wage increase for 3.16 million workers in the state, with a net value of $14.4 billion and would create an increase in jobs of 3,178. Perhaps a good place to begin understanding how difficult it is to understand what impact an increase in the minimum wage might have is by looking at the question of how many people might be affected by the proposed change. This is important, because the number of people affected impacts both the amount of wage benefits received in aggregate, and the number of people who might be affected by layoffs that could result from the proposed increase. Here, there are differing estimates. • Governor Cuomo’s report argues that 2.4 million people would benefit from a minimum wage increase. • The Empire Center report estimates 3.1 million workers would be directly affected by the increase. • The CWED report estimates that 2.4 million workers would be directly affected, with an additional 1.2 million indirectly affected. How can there be such a large disparity in the estimates of the number of people affected? The answer is that researchers seeking information about the number of people who would be receiving less than $15 per hour at the time of the proposed increase could not find data that directly answers the question, and had to develop estimates using other data that does not directly measure wage distributions at the state level. In both cases, the authors used data from the Census Bureau’s American Community Survey, and because they used different techniques to estimate the percentage of the employed population from the available data, they arrived at significantly different answers. The bigger problem associated with evaluating the effects of an increase in the minimum wage involves estimating the impact of the change on employment. Until about 20 years ago, there was near unanimity among economists that there was a trade-off between employment and minimum wage increases, particularly for young and low skilled workers. For example, a number of studies found that for a 10% increase in the minimum wage, teenage employment decreased by 1%-3%. For adult workers, the impact was estimated to be smaller – perhaps 1% for a 10% increase. Since almost 90% of minimum wage workers are 20 years old or older, the largest impact of a minimum wage increase is on adult workers, even considering the fact that a larger portion of teenage workers are paid at the minimum wage rate. From the perspective of these studies, a minimum wage increase of $9 to $ 15, or 60%, as has been proposed by the Governor, would have a relatively large negative impact on jobs. In New York’s case, with roughly 9,000,000 workers, about 550,000 could be expected to lose their jobs, if the estimate is correct. The report from the Empire Center presents three study models, one which is consistent with an analysis by the Congressional Budget Office, that estimates a loss of 200,000 jobs, a second by two economists, Jonathan Meer and Jeremy West, that estimates a loss of 432,500, and a third by economists Jeffrey Clemens and Michael Wither, that projects a loss of 588,800 jobs. How is it possible that the Center for Wage and Employment Dynamics could conclude that increasing the minimum wage could result in a small increase in jobs? The answer is that some more recent research has found no significant employment effect from increases in the minimum wage. For example, Alison Wellington in “Effects of the Minimum Wage on the Employment Status of Youths: An Update.” found that a 10% increase in the minimum wage reduced teenage employment by only 0.6%. In 1992, David Card and Alan Krueger studied the impact of a minimum wage increase in New Jersey on fast food restaurants by comparing their employment with those in nearby Eastern Pennsylvania and found that the wage increase was associated with slightly increased employment. They also examined a set of more recent studies of a 1988 increase in the California minimum wage and the 1990 increase in the federal minimum wage and found no impact. Subsequent studies have shown mixed results. Some have shown employment decreases with increases in the minimum wage, others have not. A better approach than providing a single estimate of job losses associated with increasing the minimum wage would recognize a variety of possible outcomes. The Empire Center study does this to an extent, by presenting the outputs of several models. But the study only presents one set of possible outcomes, reflecting the views of economists who believe that minimum wage increases are associated with job losses. And, while the Empire Center presented a single estimate for job losses for the approach used by the Congressional Budget Office, the CBO itself said that a range of outcomes is possible. In its study of a possible federal minimum wage increase from $7.25 to $10.10, it predicted a very slight job loss to one million jobs, with a central point of 500,000. From my perspective, the best approach would recognize the uncertainty of any job loss estimate, and present a broader range of possibilities. So, unfortunately for my friend, and for Fred LeBrun, who wanted to know what the impact of an increase to the minimum wage would be, there is no definite answer. We do know that the proposal does have a positive economic impact on workers affected – estimates range from about $5 to $15 billion. And, we know that it is not true that most beneficiaries would be teenagers flipping hamburgers at fast food outlets – in fact, they represent a small minority of workers who would be affected. What we don’t know is whether there would be a significant trade off in lost jobs.